This geneology website is a culmination of many years of research on my part, with the added assistance from many others to discover the history of my family. In the following pages, I am sharing this research with those in the family who may have an interest. Also, I am hoping that this endeavor will generate a special interest in family geneology amongst our younger family members. 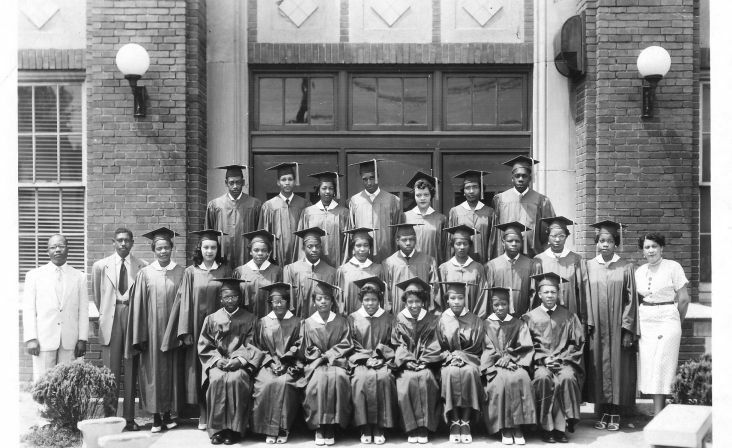 The Photo Below Is Of The 1954 Graduating Class of Sumner H.S. ; Cairo, IL . My Nephew, James W. Purchase III, Is In Front Row, Far Right.